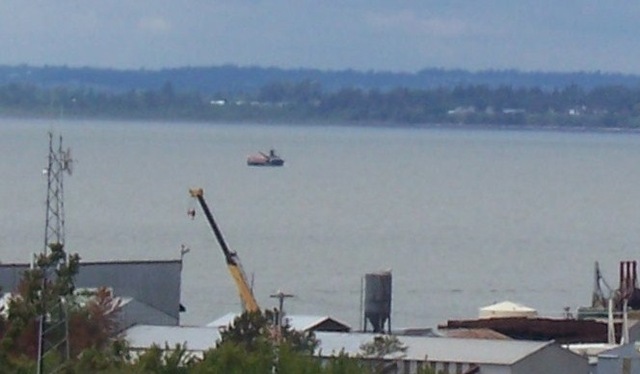 Our boat, the f/v Vis (rhymes with “fleece”) coming across the bay as George and the crew arrive home from Alaska. 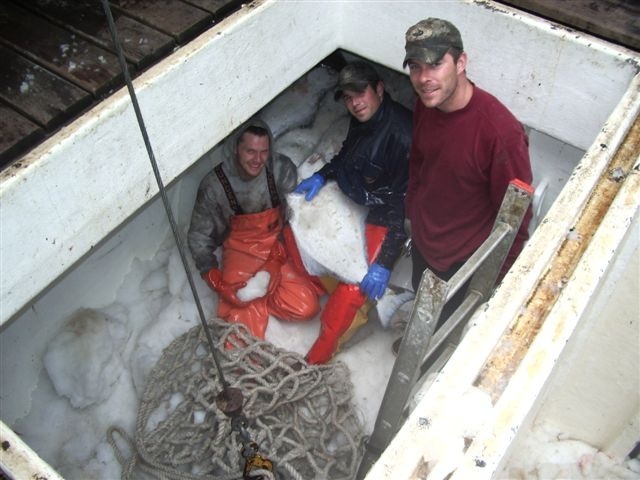 Kelly, Bryan, and Brett pitch halibut out of the back hatch and into a brailer. 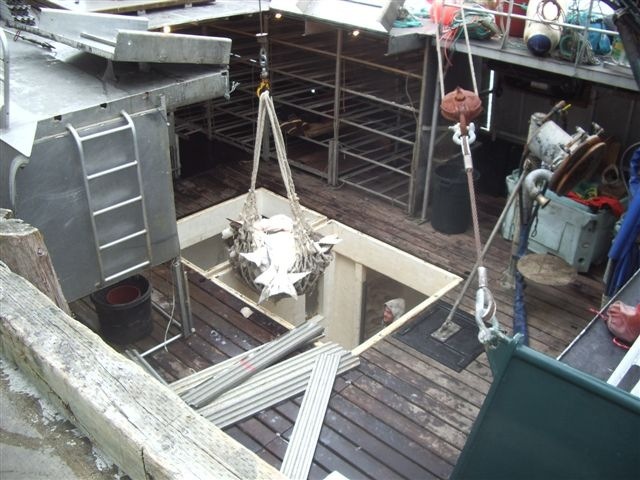 A brailer of halibut is lifted off the boat. It will land on the table on the dock to be sorted and weighed. 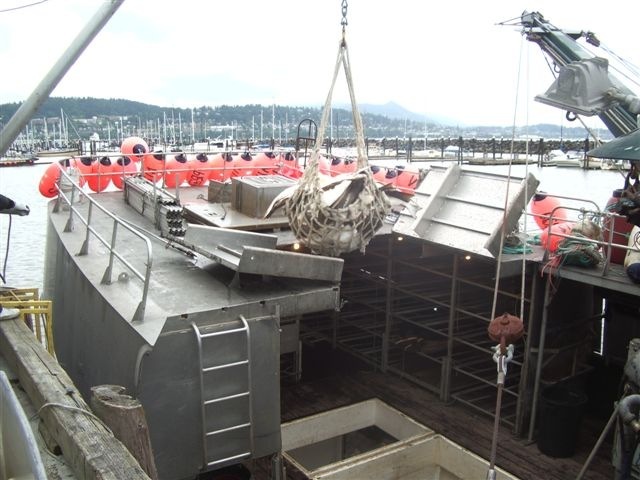 A tote of 60-80 pound halibut.